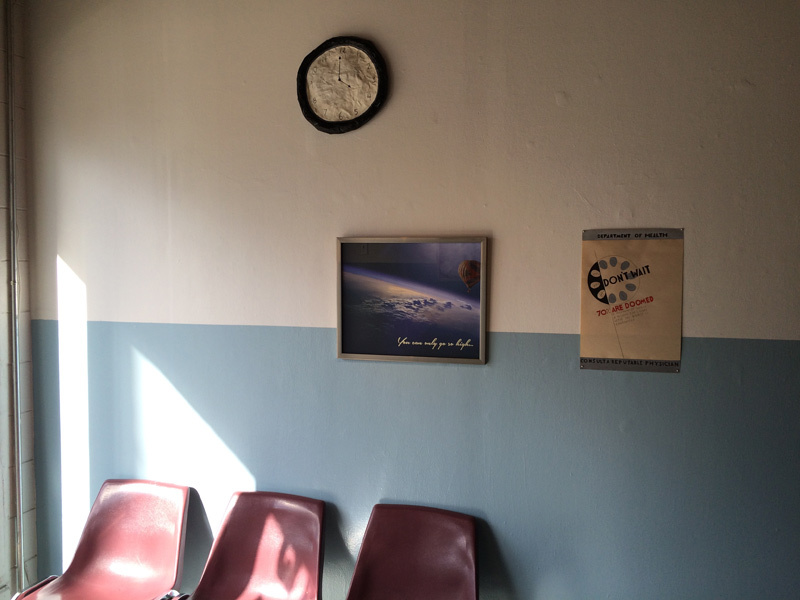 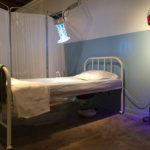 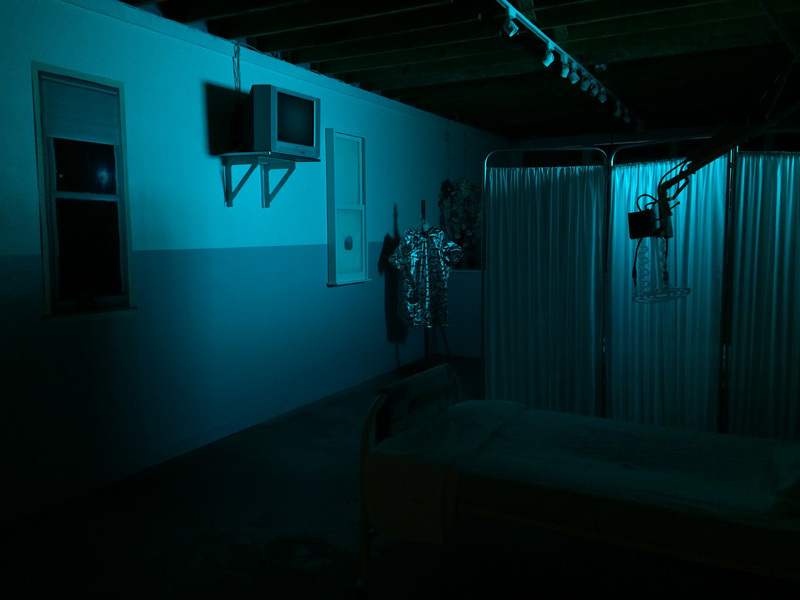 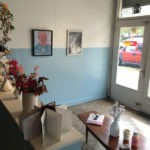 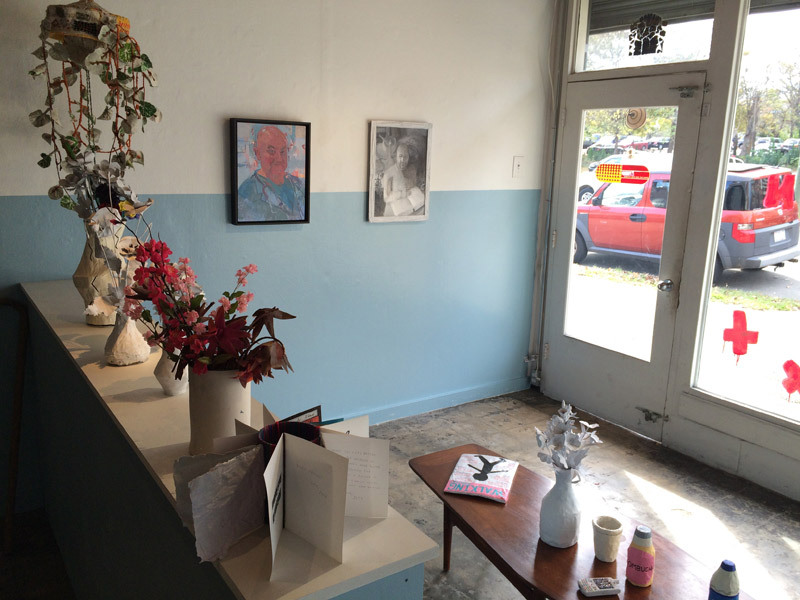 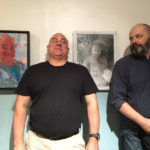 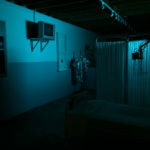 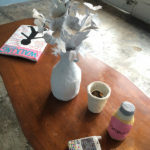 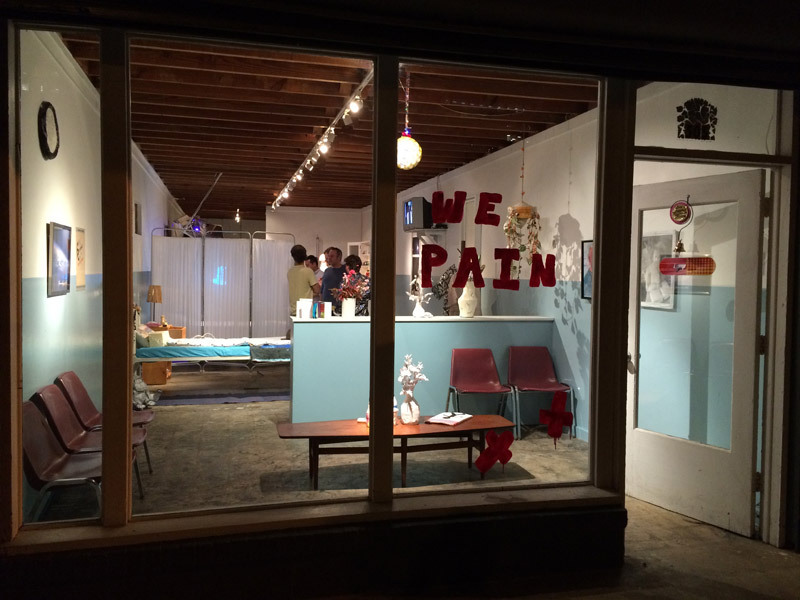 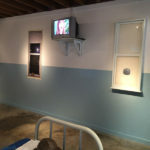 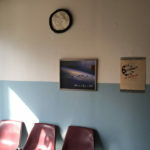 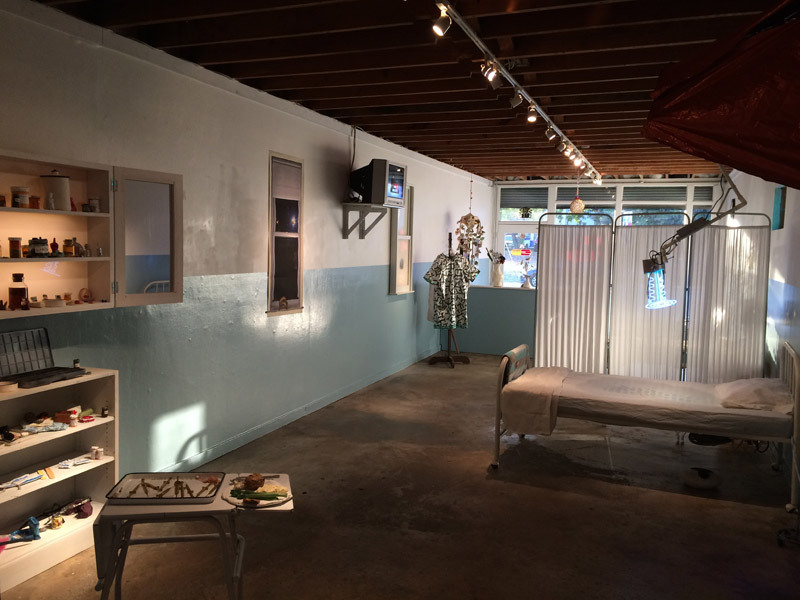 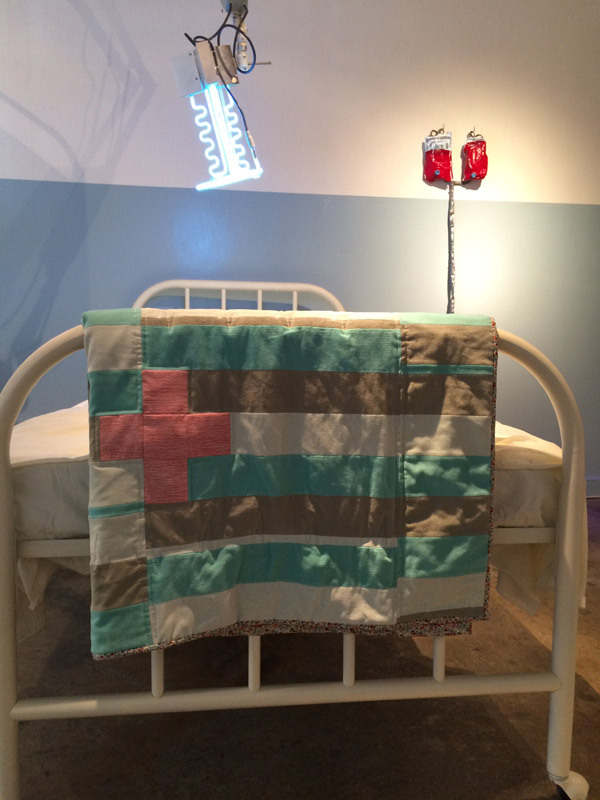 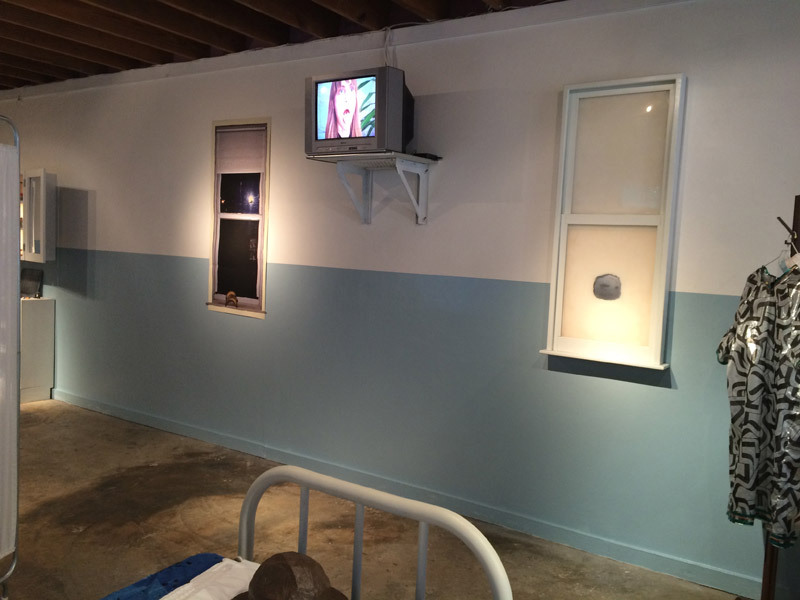 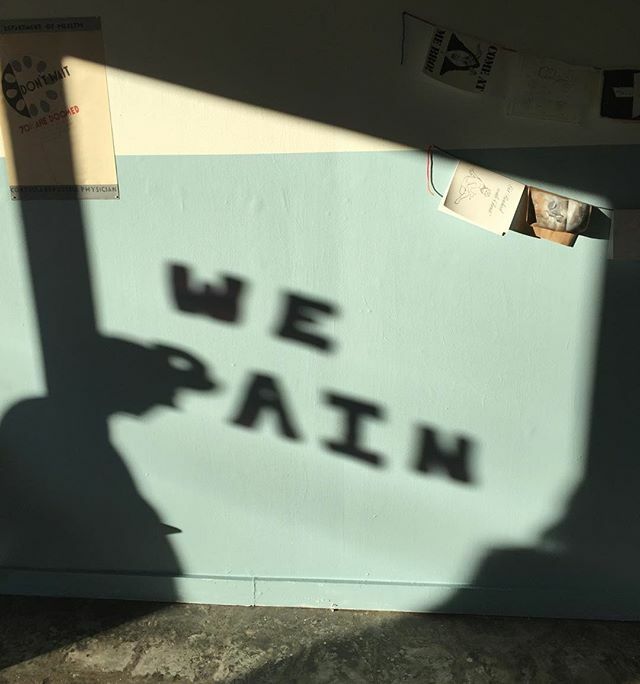 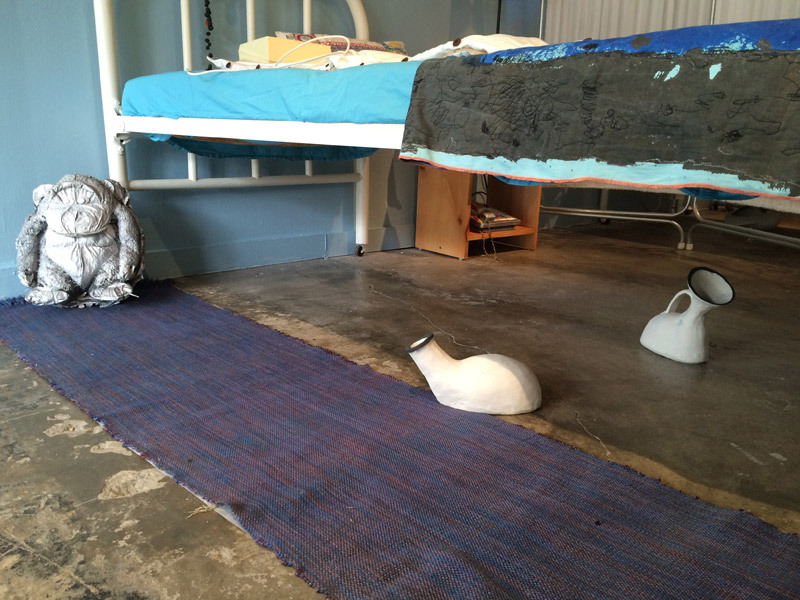 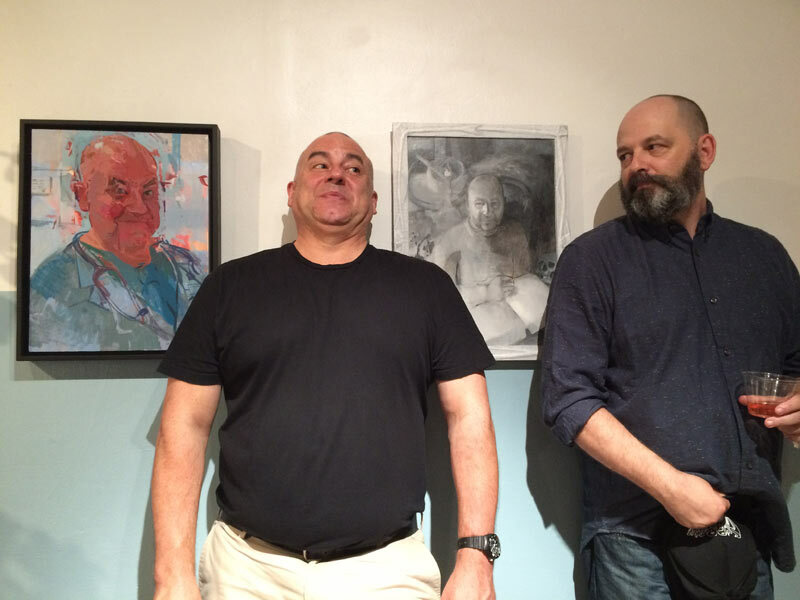 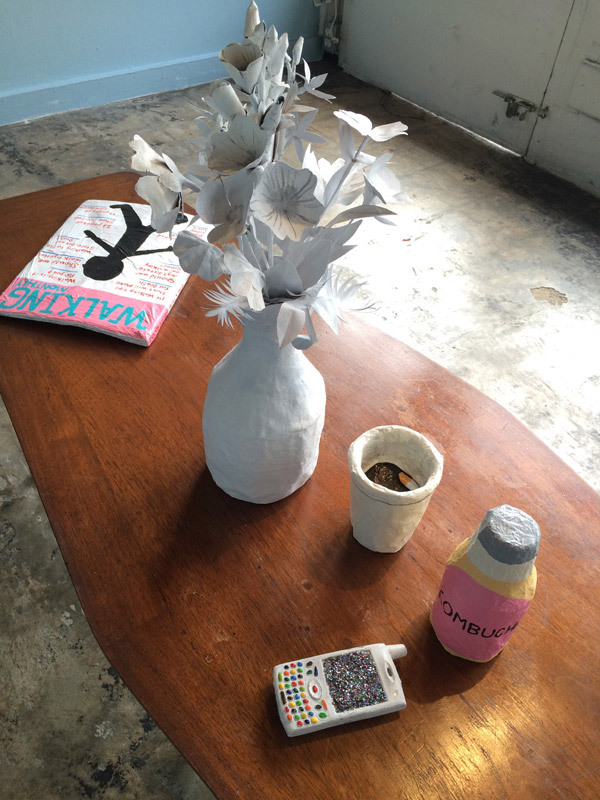 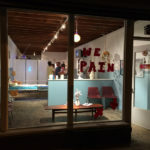 The exhibition is a collaborative installation of Philadelphia artists that have come together to recreate the likeness of an infirmary room inhabited by patients who are mysteriously absent from view. 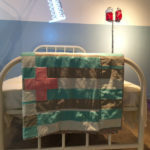 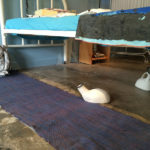 The asylum-like room is littered with personal belongings, bearing signs of their attempts for recovery and rehabilitation. 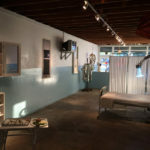 It is difficult to ascertain whether the objects in the room portray earnest attempts by the medical staff to find a cure or rather the individual’s desperate attempts at self-healing. 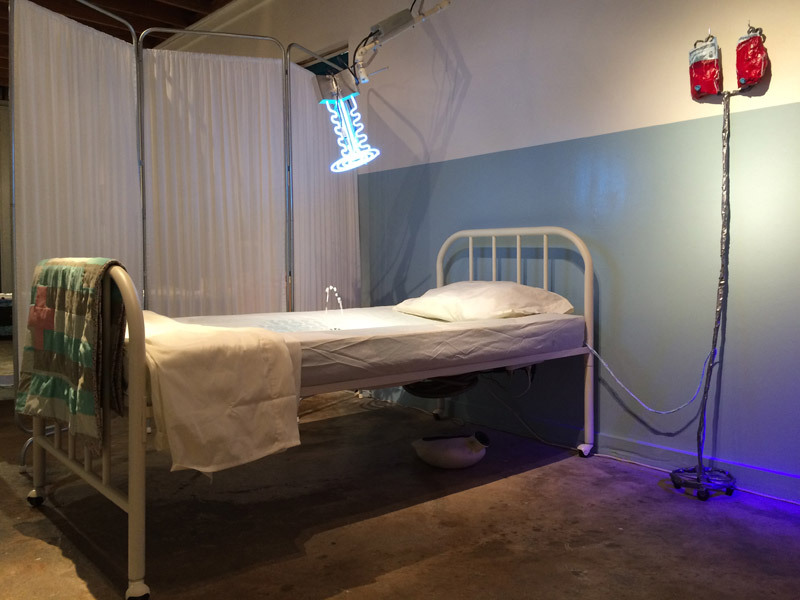 The boundaries between real and imaginary, homeopathy and quack sciences become confused as the slapstick and deadly serious sit side by side. 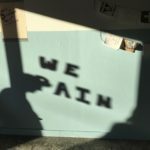 The whole field of view, albeit melodramatic or darkly comical and poignant, is bracketed by an empathetic, humanist view of life and suffering. 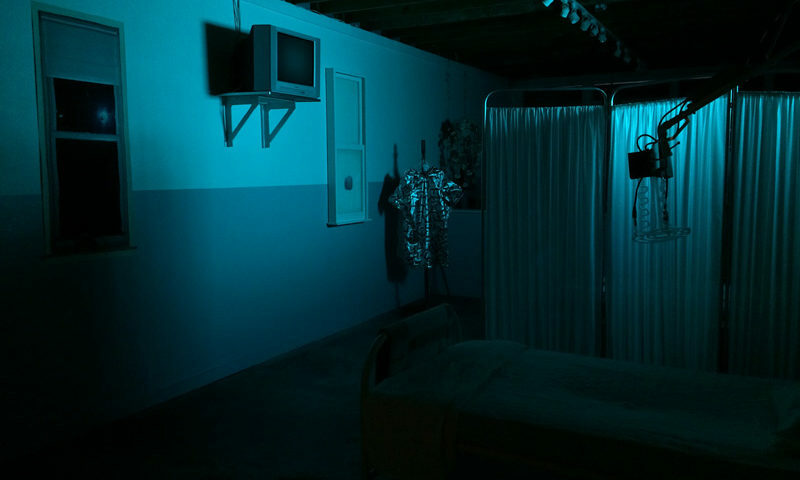 Contents of the infirmary room include: a self-wetting bed, a giant medicine cabinet of cures, get-well cards, balloons, flowers and candy, teddy bears, afghans, bedpans, worn hospital garments, walkers and mind-numbing TVs providing a meditative drone through the hypnotic rhythm of life-support machines to complete the awkward cheer of the space.